I once splurged and bought a non-stick griddle for my house. I was 20, living with 5 or 6 other irresponsible adults in a smelly townhouse, and the picture on the box of bacon, eggs and pancakes simultaneously sizzling sent me into a frenzy. I was so excited to christen my newly-acquired griddle that I didn’t take any precautions to ensure its longevity. Long story short, I ruined it instantly. Anything I could do wrong, I did wrong. For those who have non-stick pans of any sort, it’s important to give them proper care so they continue to be non-stick. My poor griddle never stood a chance, but yours can—as long as you do the opposite of what I did. Here’s how to ruin your non-stick pans right out of the box, just like I did. What I Did: When I brought my griddle home, I popped it right out of the box, plugged it in and threw on some sausage. The sweet sound of sizzling links was heavenly until I tried to turn the sausages and found they were sticking. I chalked it up as “breaking in” my non-stick pan. The rational college student in me should have reasoned there was a problem when my non-stick pan was sticking, but in the battle of common sense and breakfast, the latter will almost always win. What I Should Have Done: Out of the box, non-stick pans need to be prepped before they enter a life of making glorious sunny-side eggs and perfectly round pancakes for their human masters. Before you so much as sauté an onion, wash and dry your non-stick pan with hot, soapy water and a paper towel. After that, it’s smart to “preseason” the pan by lightly rubbing oil into the coating with a paper towel. What I Did: I now realize it’s never smart to fry or sauté anything on the highest setting, but I couldn’t wait for the inaugural griddle breakfast. So I did what any sensible 20-year old college student who had already gained 10 pounds that year and had just pulled an all-nighter: I cranked that sucker up to 10 and threw the sausage links on there. My deductive thinking told me I’d enjoy my maple-laden links sooner this way. But after a few minutes of crackling, I realized it wasn’t just the sausage that was making noise—it was the griddle, too. What I Should Have Done: That crackling I just told you about was from the surface of the griddle. 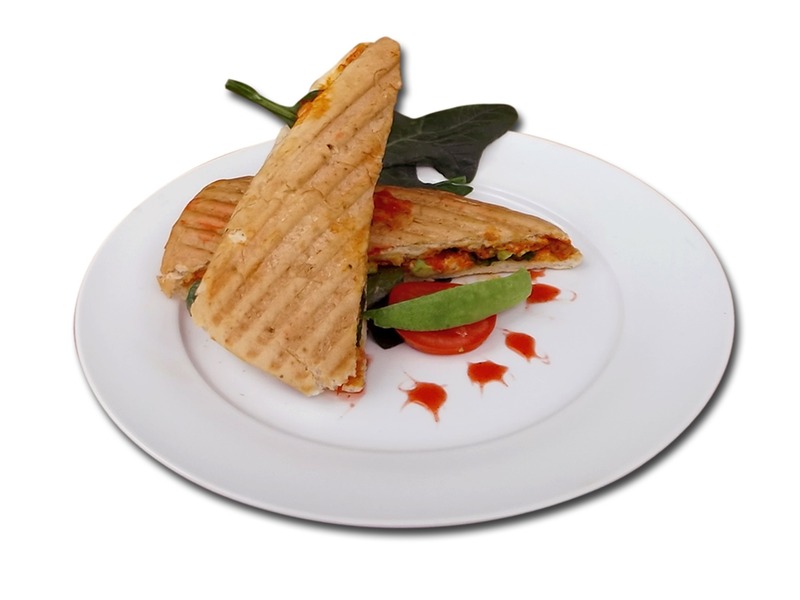 High temperatures cause the coating to crack, leaving your food cooked unevenly. Non-stick pans work much better at lower temperatures—the heat distributes evenly, and therefore cooks food more evenly. 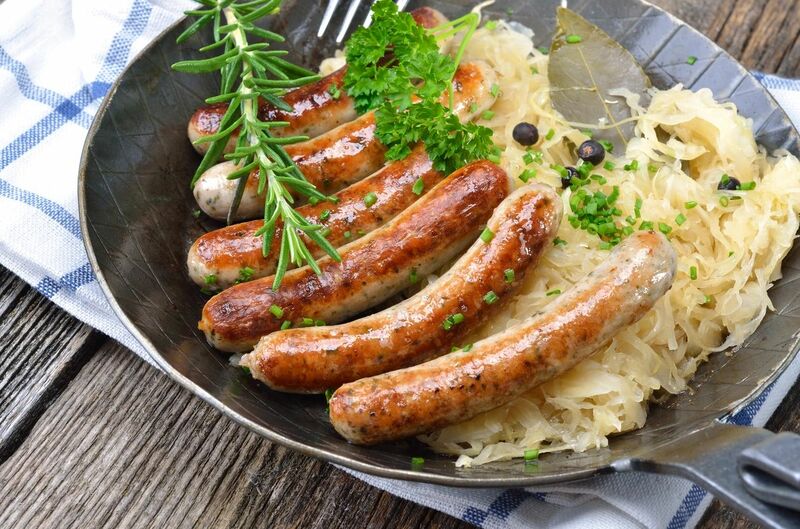 In my case, if I would have cooked the breakfast sausage at a lower temperature, they would have come out slightly blackened and crispy on the outside and steaming on the inside—not charcoal-burnt on the outside and raw on the inside. What I Did: At this point in the story, my maple sausages were producing a black smoke and the non-stick coating was cracking and peeling off. But alas, it was time to turn over the links. The drawers in my kitchen only yielded one spatula the whole year I lived there. I’m pretty sure someone picked it from a garage sale or a dumpster—the metal on the front was rusted, the wooden handle was covered in some sort of grease, and a chunk of raw egg was permanently stuck to the left corner. When I used the spatula to turn over the sausages, I cut the non-stick surface and scraped it off. This only made the smoke worse. What I Should Have Done: Non-stick coatings are sensitive in that sharp objects can easily cut them. Soft spatulas go with non-stick coatings like chocolate and vanilla and help ensure a long life for your non-stick pans. What I Did: Only after I cracked and scraped the non-stick coating did it occur to me that I should have washed the griddle before cooking the sausages. I decided to hold off on the eggs and pancakes until I could run the griddle through the dishwasher. When the cycle was finished, the non-stick coating looked like a rusted car that had been sitting in your grandfather’s garage for the last 45 years—half of it had come off in a spotty fashion, revealing a silvery surface that wouldn’t cook anything. What I Should Have Done: Cleaning your non-stick pans is imperative after every use. But using your dishwasher for the deed is an expensive mistake. The high-temperatures and harsh detergents essentially chip away at non-stick surfaces, rendering them stickier than a fly trap. Instead, wait for your pan to cool down before scrubbing it with a soft sponge in hot, soapy water. Wipe off the excess moisture with a soft cloth or a paper towel. What I Did: To be completely honest, at this point I was more upset about not eating breakfast than the fact that my brand-new griddle was now useless. Still, my anger led me to throw the griddle into the cupboard below the sink where all the other pots and pans lived. The already ruined surface became so scratched it looked like Mickey Rourke’s face in the final scene of “The Wrestler” than a griddle. What I Should Have Done: Not that it mattered, but I should have placed the griddle in an area where the non-stick coating wasn’t at risk. If you have non-stick pans, hanging them on hooks is a great idea. If you can’t afford the space or have a phobia of hooks, you can stack them anywhere as long as there is a paper towel or soft cloth between each pan. To recap, remember one thing: My tragedy doesn’t have to be yours. The ballad of your non-stick griddle could be a much happier story, so long as you do exactly what I didn’t. Home baking enthusiasts know that their success relies on having the right equipment and supplies for the job. 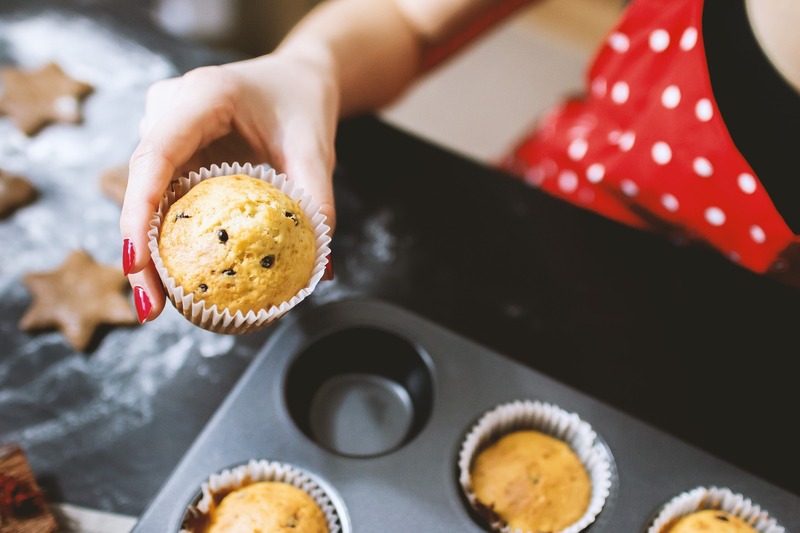 In order for your recipes to look professional and taste delicious, be sure to choose commercial grade baking supplies for your home kitchen. 1. Set up a sturdy countertop mixer. Using a countertop mixer is often preferable to using a handheld mixer. Handheld mixers are more affordable, but countertop models are more durable and can stand up to more frequent use and thicker batters. For the home, KitchenAid is the standard. 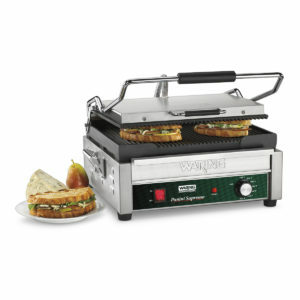 However, professional chefs prefer commercial brand names like Globe, Hobart, Vollrath, or Waring, which are well-reputed in the food industry. 2. Make way for measuring cups and spoons. Measuring cups and measuring spoons are essential for the home baker. Professional bakers know how important precise measurements are to the success of the end product. Although they often measure by weight using a baker’s dough scale, measuring cups and spoons are the perfect tools for making exact additions to any recipe in the home. 3. Weigh the advantages of a kitchen scale. A bakers’s scale weighs ingredients in a flash, giving bakers exact measurements in order to accurately follow recipes. For home use, choose a traditional mechanical kitchen scale for the most basic type of scale, or choose a digital portion control kitchen scale for a more modern look that is thinner and easier to store than its mechanical counterpart. 4. Try a kitchen timer. Many unfortunate instances of burned cakes and screeching smoke alarms might have been prevented if only a kitchen timer had signaled that an item was finished baking. Try a kitchen timer and set your mind—and your local fire department—at ease. 5. Bake only on a nonstick baking mat. With nonstick baking mats, cookies and homemade candies will never again stick to the sheet pan, and the material prevents scorching for a more even bake. Silpat is a common brand that many home bakers prefer. Silicone baking mats are the ideal baking surface for a variety of baked goods, although you may also try parchment paper, which is a disposable non-stick alternative to reusable silicone mats. 6. Fill a real pastry bag. Fabric pastry bags are the professional choice for equipping the commercial kitchen. They are reusable after a quick wash and they hold a good deal of frosting for when you need to decorate several cakes in one go. They fit snugly with a variety of pastry tips are ideal for creating high-quality piping on cakes or for frosting intricate details on cookies, petit fours or other baked items. Find them in a range of sizes from 10 to 24 inches long. 7. Employ a candy thermometer. These tools are mainly for measuring the temperature of sugar, chocolate and cooking oil. 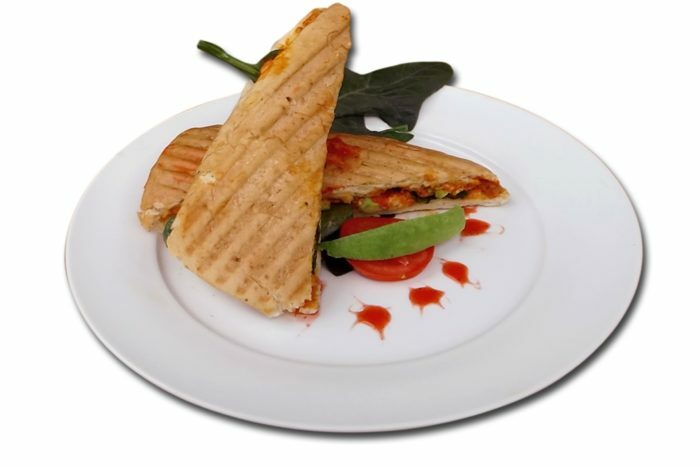 They will ensure that your ingredients are at the right temperature for the recipe, taking out the guesswork. Try a manual model candy thermometer over a digital one for easier calibration and longer life. 8. Smooth things out with a rolling pin. 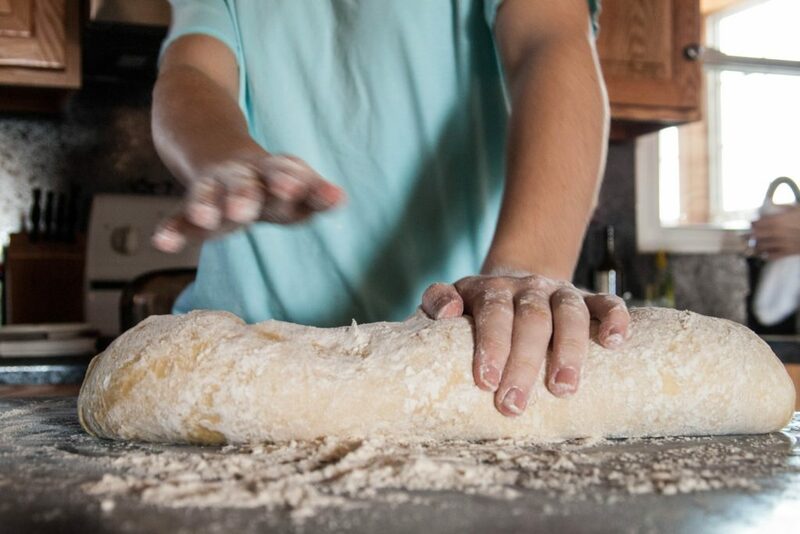 Many chefs use rolling pins, especially those committed to artisan styles of baking and cooking. A wooden rolling pin is a traditional favorite, with handles for an easy grip. For something a little different, try a French rolling pin. These have long, narrow and slightly tapered ends to offer greater control and maneuverability for delicate fondant and fragile tuile cookies. 9. Light up a kitchen blowtorch. In a professional bakery, the finishing touches on a dessert can be the most important part. Caramelizing crème brulée or browning the peaks of a meringue pie requires a meticulous yet delicate heat. Using a kitchen torch can be the ideal way to get the perfect finish on your professional desserts. 10. Use a multi-blade croissant cutter. A professional pastry chef often pumps out hundreds of croissants every day. In order to produce many croissants with precise size, shape and speed, use a multi-blade pastry wheel over cookie cutters or other single-blade cutters. Glass is fragile and can break if not handled or cared for properly. In a busy restaurant or bar, accidents happen. Sometimes breakage is unavoidable, but you can minimize breakage by following these simple instructions. When glassware is stacked, unwanted friction occurs. This unneeded stress is not good for your glasses and over time can cause them to break. Stacked glasses are more likely to tip over, shattering the entire stack. Carry glasses in a glassware keeper or stacker, as opposed to stacking them individually. While this is a tempting way to carry several glasses at once, over time it does more harm than good. The clinking of the glasses against one another makes them weaker and prone to breakage. Use a serving tray or a glassware stacker instead. This temperature shock is detrimental to the glass as the cold ice in a hot glass makes it more likely to crack or break. If you do not have enough glassware, then you may be forced to use dishes straight from the dishwasher for drink service. These dishes will still be wet, and can develop unsightly water spots. Also, these glasses will still be warm and when subjected to ice will suffer thermal shock. Not only is this an unsanitary ice handling practice, it can cause the glass to crack or break. Broken glass in an ice bin is very dangerous. It is difficult to locate and extract, and could end up in a customers drink. Use an ice scoop instead. The clinking and banging of the metal flatware decreases the integrity of your glass, and can cause it to crack, chip or break. 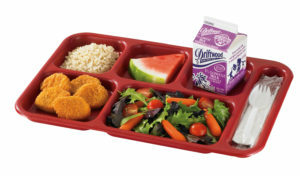 Avoid this by using a bus tray designed to divide up glassware and flatware for carrying. The constant clinking of the glass against the beer tap causes strain on the glass, making it prone to breakage. Carefully place glassware in the carts and avoid stacking. 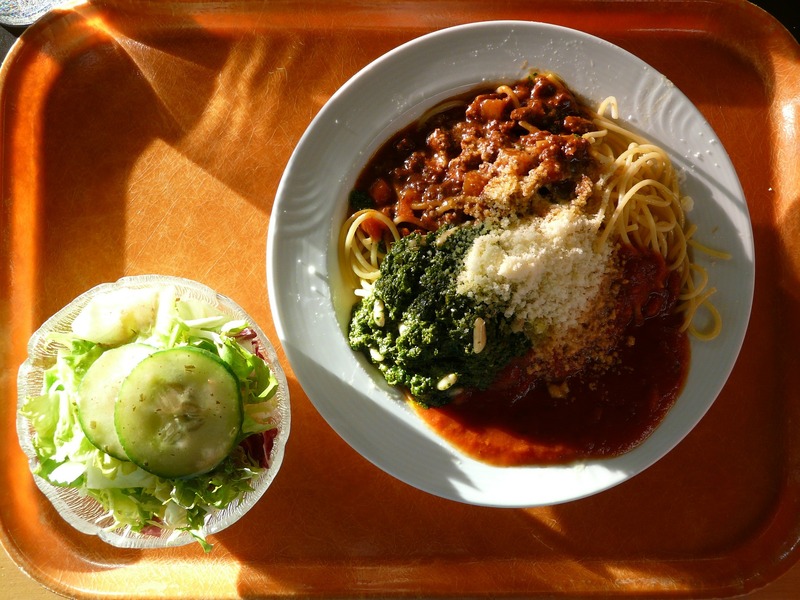 In a rush period, you want to bus tables as quickly as possible to get the next group of customers in, but banging glassware around with dishes and flatware just makes it prone to breakage. Not only is this bad for your presentation, but a chip or crack in glass means that the structure has been compromised. You do not want a glass to break when in use by a customer. Discard chipped glasses immediately. 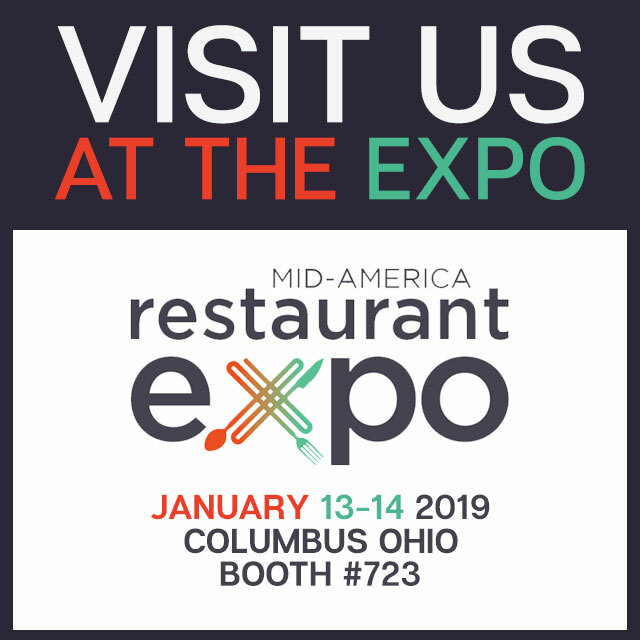 Burkett Restaurant Equipment & Supplies is proud to once again be an exhibitor at the Mid-America Restaurant Expo, Jan. 13-14 at the Greater Columbus Convention Center in Columbus, OH. We’ll be in Booth 723 and featuring the latest products from some of our favorite brands, including SEAGATE, Garland, Manitowoc, and APW. We’ll also be showing off some of our Burkett Certified reconditioned equipment from Star, and Hobart. If you’ve seen us at the MAR Expo before, you’ll be sure to recognize the photogenic and showstopping bright red Hobart floor mixer. It’s very popular with show attendees. 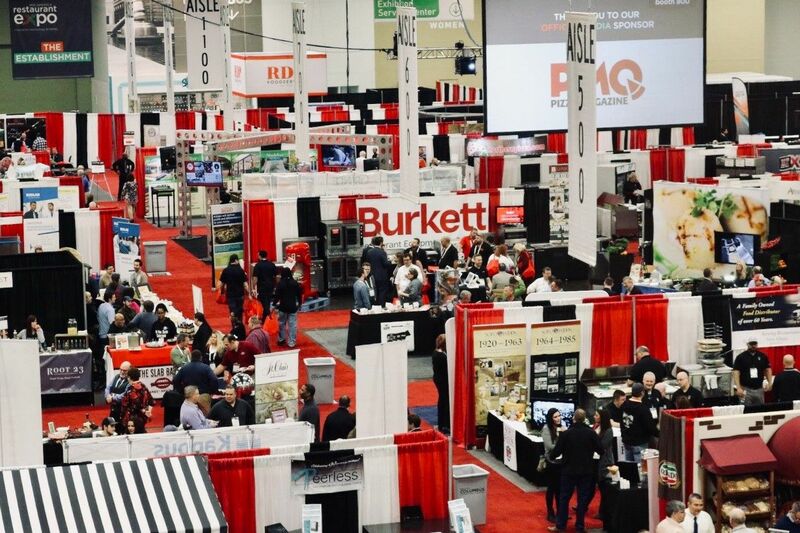 Our Burkett Concepts team will also be at our booth to talk to you about the latest trends in kitchen design, installation, and project management. So make plans to stop by Booth 723, you can also RSVP via our Facebook Event. We look forward to seeing you at the MAR Expo! What is Section 179 of the IRS Tax Code? Most business owners think the IRS’ Section 179 tax deduction is some mysterious or complicated tax code. It really isn’t, we promise. 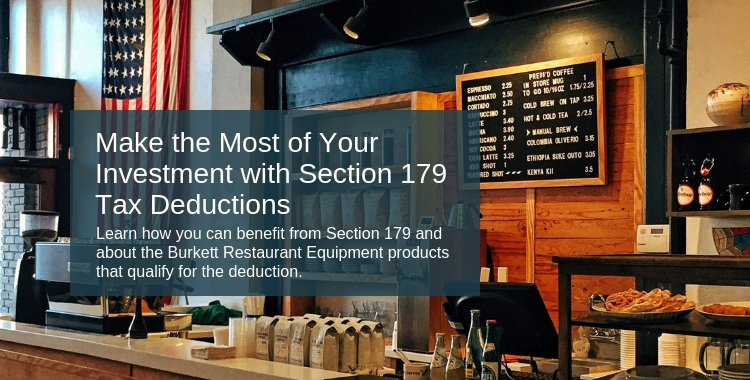 Section 179 of the IRS tax code allows businesses to deduct the full purchase price of qualifying equipment purchased or financed during the tax year. That means that if you buy a piece of qualifying equipment, you can deduct the entire purchase price from your gross income. It’s an incentive created by the U.S. government to encourage businesses to buy equipment more easily and invest in themselves quicker. 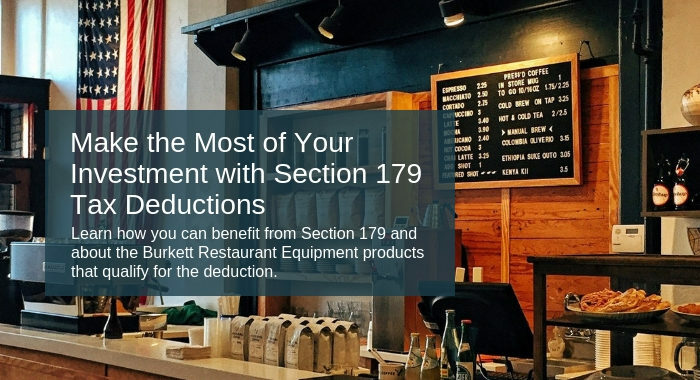 Section 179 allows businesses who finance their equipment purchases to write off full equipment costs in the year they buy it rather than capitalizing costs over the useful life of the equipment and waiting years to receive deductions. For 2018, the maximum deduction you may elect to take for a year is $1 million. However, the equipment must be purchased and already in use by Dec. 31 of the tax year. So, let’s say you bought a $10,000 piece of equipment for your business. Under normal depreciation rules, you would only receive a portion of the cost in deductions each year over its useful life. Now, under Section 179, you can deduct the entire $10,000 from net income in the first year you own it. So, assuming a 35% tax bracket, that’s a tax savings of $3,500. That savings lowers the cost of your $10,000 purchase to $6,500! Financing allows you to have cash on hand for emergencies or unforeseen business costs. The amount that you can write off in taxes can exceed profits, which allows you to finance more equipment and reinvest in your business! If you’ve been thinking about making that major purchase, take advantage and do it today, 2018 is almost over! Ready to get started? Still have more questions? Follow this link to email, chat, call, or visit one of the superior sales solutions specialists at our Perrysburg, OH headquarters. 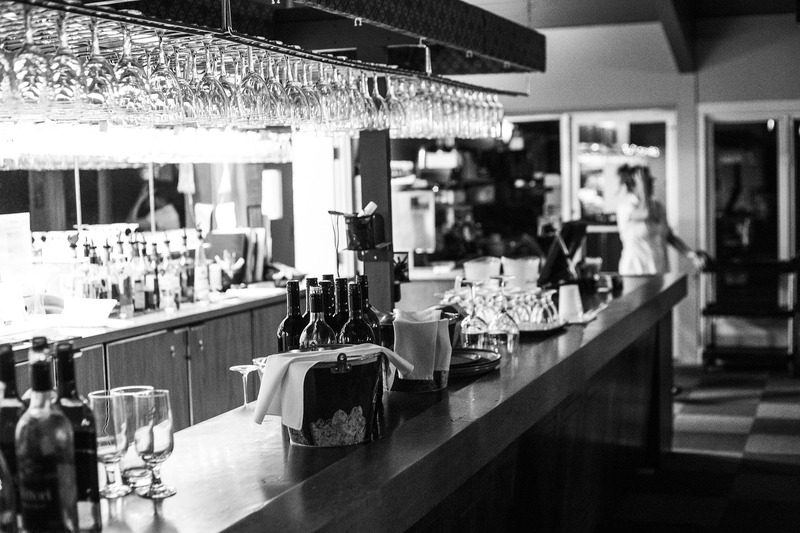 You bought your shiny new piece of restaurant equipment. You pass on the warranty. Waste of money, you think to yourself. Besides, most manufacturers have a standard one-year warranty on parts and labor. That ought to cover it, right? No matter how durable the equipment, no matter how well versed your employees are in its use, it’s bound to happen, something can or will go wrong. It should come as no surprise, of course, that most problems occur after the first year is over and the standard warranty has expired. Then you’re stuck dealing with the inevitable problems surrounding costly repairs. Who do you call? Who’s reliable? Who’s cheap? How quick can they be there? Time is money. Most manufacturers limit their warranty periods to one year. Be ready for whatever happens, whenever it happens. As an Authorized Consumer Priority Service Dealer, Burkett Restaurant Equipment & Supplies can help extend your warranty by 4 years after the manufacturer’s warranty. That’s a total of five years of being worry free. It’s the cheapest and easiest way to protect your purchase. Consumer Priority Service partners with Burkett Restaurant Equipment & Supplies to offer customers unparalleled product coverage at prices that make sense. Burkett and CPS are proud to offer customers premium warranty coverage. With no deductibles or hidden fees, you can count on Consumer Priority Service to take care of all your equipment purchases from Burkett. Our partnership with CPS gives you superior protection for total peace of mind. And no matter how expensive your item is, for a business owner, there is nothing more valuable than peace of mind. What’s a Ramekin and What Size Do You Need? Ramekins are those handsome dishes that are typically used for baking and serving menu items such as soufflés, crème brûlée, puddings and other single-serve delectables. They are traditionally made from porcelain and feature fluted sides. The term ramekin also refers to smaller dishes of the same shape that can be used to serve condiments or sauces. These ramekins can be made from any number of materials, from metal to plastic, as they are not intended for use in the oven. In addition to baking and serving food items, ramekins also make for attractive household decorations that can be used to hold anything from tea lights to office supplies. Ramekins come in many sizes to help you attain the look you want to achieve. So, what size ramekin do you need? Here is a breakdown of the different sizes, and what they are used for. Small ramekins in the 1 to 2 ounce range are typically used for condiment sides, such as ketchup or mayo. These little dishes are also great for teeny appetizers like mixed olives. For household decorators, these small ramekins can be used for tea candles, paper clips, or tiny bouquets. 3 to 5 ounce ramekins are still on the small side, though they can be used for items other than condiments. 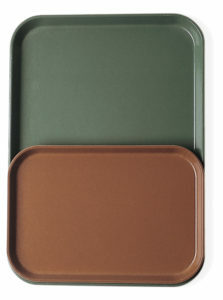 Ramekins of this size are great for mini-desserts or for sample platters. 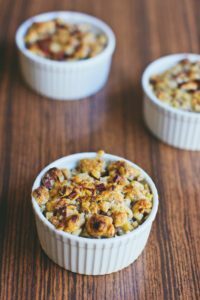 If you are only going to stock up on one size, a 6-ounce ramekin is probably the best all-purpose option. These are great for single serving desserts. These larger ramekins are great for lunch-sized pot pies and other small portion meals. They can also be used to make custards, molten lava cake and other desserts for two. These also make great pet food bowls, and are typically cheaper than anything you’ll find in a pet store. Besides calculating the capacity you’ll need, when choosing your ramekins you should also consider surface area. For dishes such as crème brûlée, in which the burnt surface is often considered the tastiest part, you’ll want a low, wide ramekin with a lot of surface area. People consider birthdays, anniversaries and holidays to be special occasions worthy of a little extra spending. You need to convince customers that your restaurant should be the recipient of those dollars. 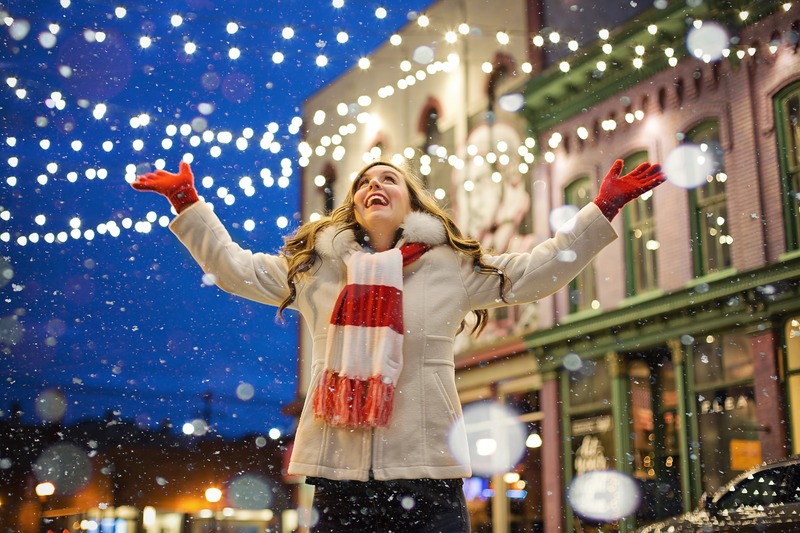 Follow these tips to attract customers for holidays and special occasions. 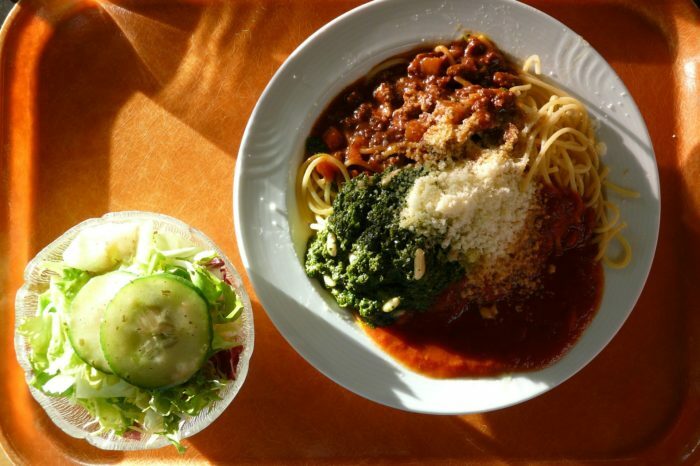 According to the National Restaurant Association, more than half of Americans eat out on their birthday. To encourage them to keep your restaurant in mind for their special day, send customers in your database a birthday card that includes a voucher for a free gift of some kind, like a free birthday dessert. Gift certificates are the perfect way to capitalize on special occasions throughout the year and during the holiday season. About 25% of gift certificates are never actually used, which turns that sale into pure profit. You should display your gift certificates in a prominent place near the point of sale or the entrance, and you can also sell them on your restaurant website. You could offer a special meal for two on Valentine’s Day, a free glass of champagne on Christmas Eve, free taxi rides on New Year’s Eve, etc. Just make sure not to offer a discount. For the holidays, people are willing to spend, so instead of a discount, offer extra service or a free item. Do not lower prices; instead, add a bit of value. Nothing captures the spirit of the holidays like a good party. Throw a Mardi Gras or Carnival party, a New Year’s countdown, a freaky Halloween party or even a romantic Valentine’s Day dance. Make sure that your food and drinks are a main focus of the party, and also provide special entertainment with music, movies or performers. Advertise your party through flyers, direct marketing campaigns and the local newspaper. On Valentine’s Day, put roses and candles on the table. On New Year’s Eve, decorate with sparkly garlands and clocks for the countdown. For the first of November, you can add Day of the Dead decorations to your festive atmosphere. Changing the decorations in your restaurant occasionally will keep your design up-to-date with the season and add a fresh quality to the dining experience of your most loyal customers. Just make sure your holiday decorations do not clash with your design concept. People feel generous during the holiday season. You can show them that you do, too, by hosting a special holiday fundraiser. You could put on a food drive or give a percentage of sales to a certain charity. Write up a press-release about it, and make sure to mention the fundraiser on any advertising materials that you use near the holidays. Do not risk alienating customers during the holiday season. Train all servers to say “Happy Holidays,” rather than “Merry Christmas.” Unless you know that your customer base subscribes to a certain religion, use only secular holiday decorations and slogans. You could transform your establishment into a haunted restaurant for Halloween, have all of your servers dress as Santa or elves for Christmas, hide eggs in your restaurant for customers to find on Easter, or send an employee to hit the streets dressed as a giant turkey for Thanksgiving. When it comes to crazy holiday stunts, do not limit your creativity. Consider advertising in more unique or specific mediums for the holidays. For example, you could advertise in the program at a local drama theater for Valentine’s Day, or in programs for the Nutcracker ballet or school holiday concerts for the winter season. Consider creating a float for the parade and distributing flyers or coupons for Mardi Gras or Independence Day. On Thanksgiving, try advertising in the “food” section of local papers. Before Halloween, distribute flyers with details about your costume contest or Halloween promotion. Also make sure to mention your takeout or delivery services, since people may throw parties or be too busy to cook around the holiday.